At Boydco Plumbing, we know just how handy a water softener can be in any home. Here’s a few reasons why you should consider getting a water softener. 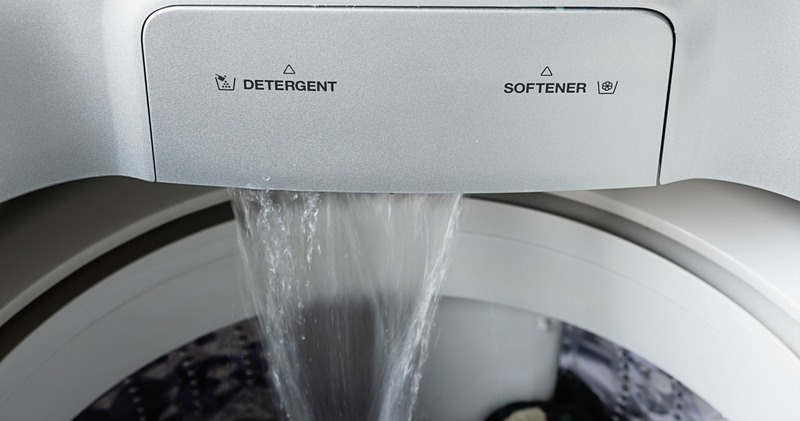 Water softening can make it easier to clean clothes and dishes. When you clean with hard water, your clothes and dishes could end up with white spots, streaks, and soapy residue. Water softeners help you rinse off soap residue more thoroughly. Not only can soft water make your dishes and cloth look better, but it can also do wonders for your skin and hair! An added benefit of water softeners is that they also reduce the amount of soap or detergent that you’ll need for cleaning, so you’ll end up spending less money on cleaning products. It also makes your sinks, showers, and bathtubs cleaner because there won’t be nearly as much soap scum and film left behind after you clean them. Softened water can heat quicker than hot water. Using water softeners can improve the efficiency of your water heaters. Regardless of whether or not you use an electric heater or a gas-powered units, your water heater will quickly heat up your soft water and reduce your energy consumption. That means lower utility bills for you! Hard water can do a number on your pipes and fixtures. Hard water often leaves scaly deposits behind in your pipes. These deposits can build up over time, causing corrosion and clogs that can seriously compromise your home’s home plumbing system. You can reduce these mineral deposits by using soft water, which will minimize buildup in your pipes and lower the risks of clogs and corrosion. Fabrics can also feel softer with soft water. Hard water is full of minerals that can get trapped in your clothes’ fibers. Cleaning them with soft water will make your fabrics last longer, and it will keep your whites looking brighter and whiter. Soft water is also great for your appliances! Any appliances that use water can benefit from a water softener. Soft water will reduce the yearly energy cost of your appliances and help them run longer. So if you own a coffee machine, ice maker, dishwasher, and/or clothing washer, you should seriously consider getting a softener for your home.